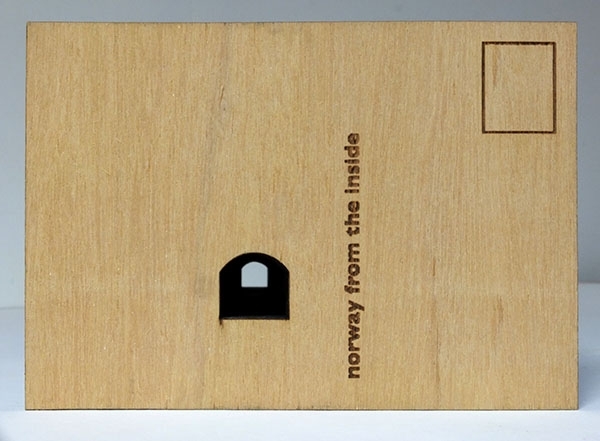 'Norway from the Inside' is a commission postcard edition created especially for this exhibition at X marks the Bøkship, in London. 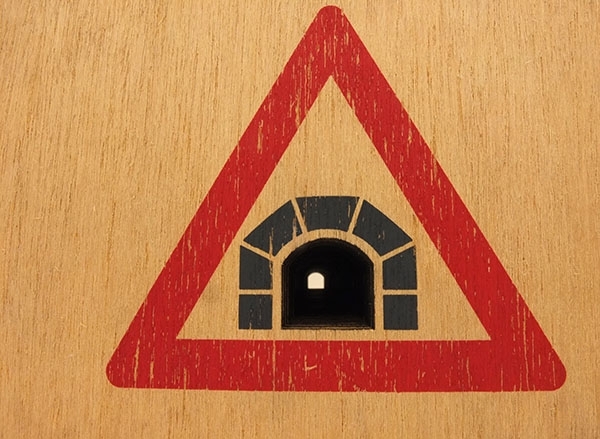 This work is an observation about the amount of tunnels in West Norway, and how when driving from Bergen to Voss for example you spend more time in tunnels than looking at the scenery, along with a local saying that tourist experience Norway from the Inside. 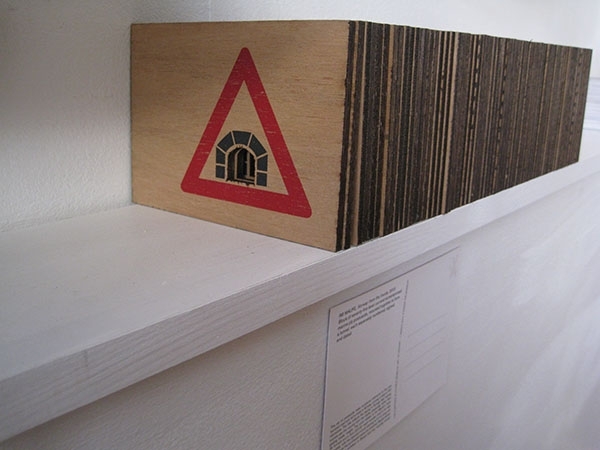 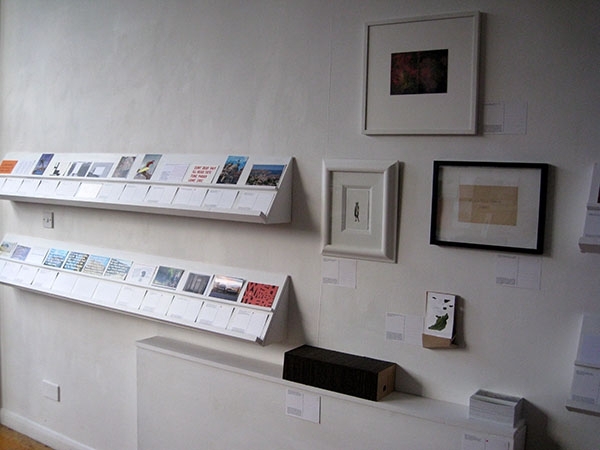 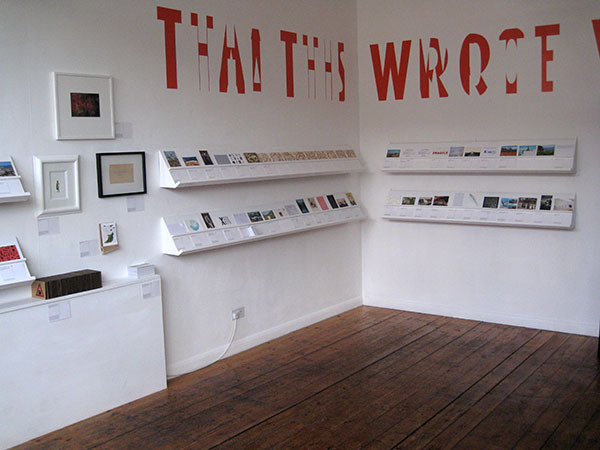 An edition of 75 wooden laser and screen printed postcards create a tunnel 41cm long.